A guide to understanding why there are different versions of books in Rubbershop and which one you should buy. A visit to Rubbershop will reveal there are a couple of different versions of some of the books; DETOX and //BEAUTIFUL each have something called a “Variant.” Is this a marketing scam? A throwback to the ’90s comic book fad of selling the same content with unique covers? And why aren’t all the books available from Amazon? Answers to those questions and a lot more below. First, an explanation: The books in Rubbershop are self-published, print-on-demand editions that are either printed by Lulu or CreateSpace. This means that the books aren’t printed and waiting to be bought; they do not get printed until an order is made. Once the order is made, the book gets printed and the royalty goes to the creator. About the royalties: They differ depending on which book is bought from which outlet. One of the reasons for different versions, but more on that in a bit. About the printers: Lulu and CreateSpace differ in what kinds of books they produce and what they’re restrictions are. Lulu has paperback and hardcover books and no restrictions (unless you want mass distribution), but CreateSpace offers only paperback books with a few restrictions. So let’s get into the restrictions, using DETOX as an example. 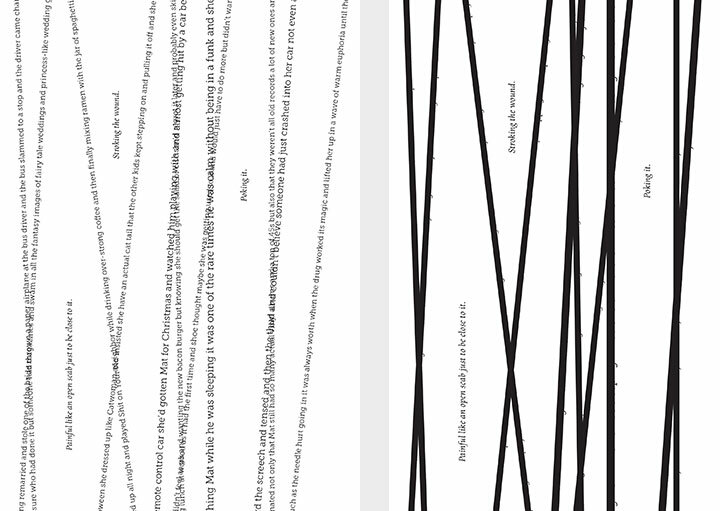 DETOX contains passages of unusual typography that, in one section, overlap and bleed off the page. 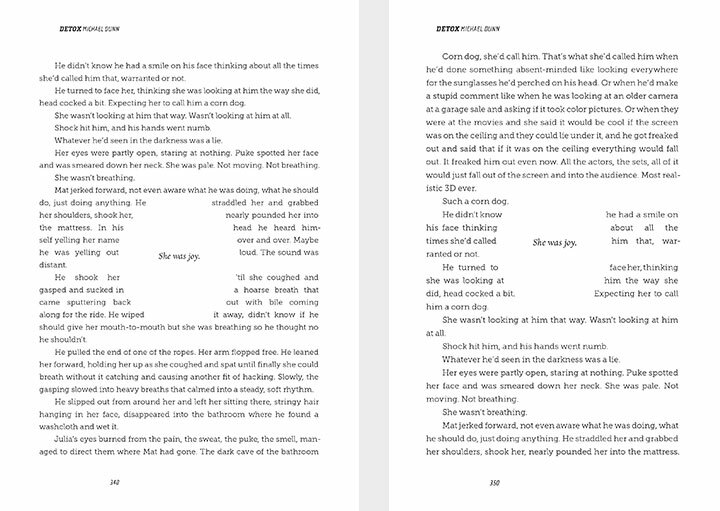 CreateSpace will not print a book with overlapping, cut-off, bleeding or otherwise illegible text. This is to prevent confusion on the press (cut-off type will look like a mistake and possibly cause the operator to stop printing). Lulu doesn’t have this restriction unless you choose expanded distribution (which means they’ll make the book available through other retailers, such as Amazon, Barnes & Noble, etc.). 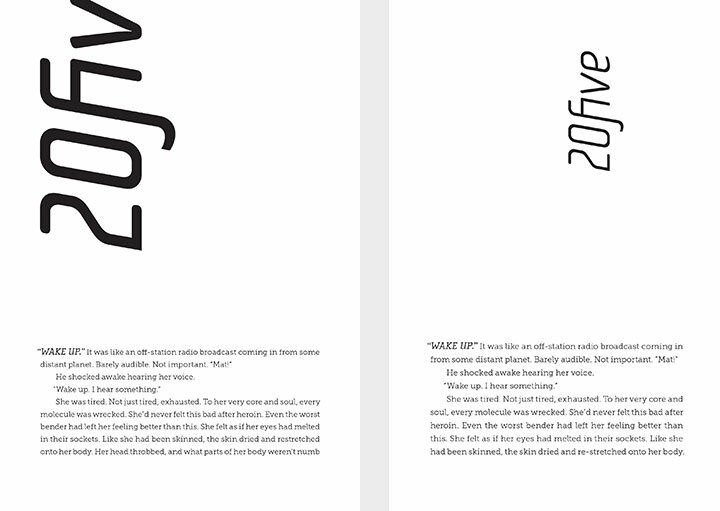 The SUFFER SINGLES have type cut off on the cover and throughout the book and was denied for expanded distribution. That’s why they’re only available through Lulu. It wasn’t worth the hassle to create alternate versions of these to have a wider distribution. DETOX, however, was worth it, so an alternate version was created that met CreateSpace’s requirements, which meant no illegible text (even if that was the intention). This alternate version, while not drastically altered, wasn’t what was originally intended. To further differentiate this version (and perhaps make it more appealing to a wider audience), the cover was changed. The interesting thing is that, once the variant version was created after DETOX was denied expanded distribution, the denied version appeared on Amazon (and other distribution outlets), so there was technically no reason to have an alternate version. So why use CreateSpace? Back to the royalties. Using DETOX as an example, let’s see how much the creator actually gets in royalties. Minimum List Price This is the minimum price Lulu will allow the book to be set at, but not the cheapest it can be sold for (more in a bit). The minimum list price set by Lulu for DETOX is $19.16. Set Your Price This is chosen by the creator. This is the MSRP which is almost always higher than what the final list price is. Any amount can be entered here as long as it’s at least the minimum list price. Once this amount is entered, the creator’s royalties are calculated. Since $19.16 is a wonky price, it was set at $19.95. Royalties With $19.95 set as the list price (which seemed pretty high), the royalties for each book sold through Lulu is $8.50. Not bad. But everywhere else through expanded distibution, the royalty is 32¢. That’s it. So while $19.95 seems a bit steep for a paperback, a 32¢ royalty seems pretty paltry. On the other hand, $8.50 for book sold through Lulu isn’t bad. They have a 80/20 split on revenue for printed books and 90/10 on ebooks. Both favor the creator. Still, $19.95 for a paperback? Maybe if it was someone famous, but no one’s heard of this Michael Dunn guy. Why pay nearly twenty bucks on a book from someone I’ve never heard of. No thanks. Wait, just a minute. What if there was a discount? Yes, Lulu allows the creator to apply a discount to the book. Remember the minimum list price above? That’s not the cheapest it can sell for. A discount of up to 50% can be applied for all purchases of the book direct from Lulu (It doesn’t affect the price of outlets in expanded distribution, that stays at 32¢ since the discount only applies to books bought direct from Lulu). Of course, the royalty drops as well. 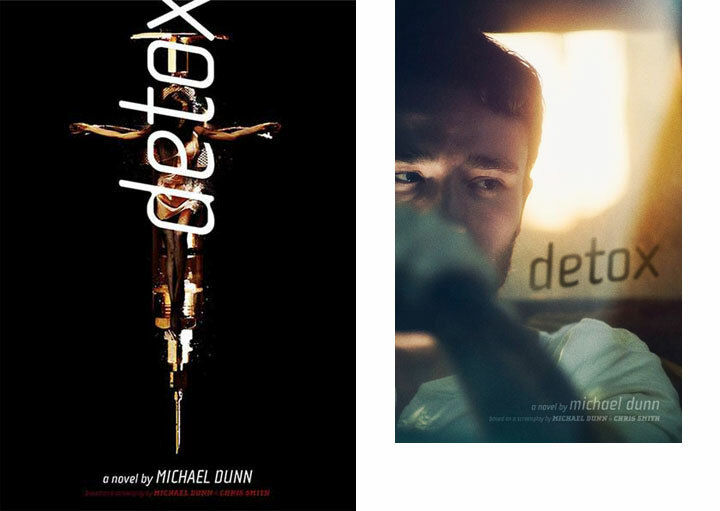 At a 50% discount, DETOX sells for $9.97 (not bad, this Michael Dunn guy might be worth a try). But the royalty is down to 51¢. So it’s a battle to determine the balance between what it should sell for and how much the creator wants to make. Currently, DETOX is set at a 25% discount through Lulu, making it list at $14.96 with a royalty of $4.50. That’s seems a decent balance. Unless it sells through Amazon. 32¢? That’s where CreateSpace comes in. Just like people are unwilling to part with their cash to take a chance on some unknown author, they also don’t want to trust it with someone they’ve never heard of. Lulu? Doesn’t sound legit. Amazon’s legit, and if this book ain’t on Amazon it can’t be any good. It’s the way it goes. Enter the Variants. CreateSpace also offers direct purchasing and expanded distribution, and while Amazon is one of the expanded channels (like it is with Lulu), the royalty is a lot more attractive. CreateSpace’s minimum list price for DETOX (the variant edition) is $14.60, and if the list price matches the version being sold through Lulu, it would be $19.95. At that price, the royalty for books purchased direct from CreateSpace’s eStore is $10.12 (wow!). Better deal that through Lulu (but it doesn’t look the way it was intended due to the printing restrictions; commerce and art at war). But what’s really important is Amazon’s royalty since that’s why the variant was created. At $19.95 list, the Amazon royalty is $6.13. A lot better than 32¢, and sales through other channels (such as Barnes & Noble) is $2.14. So, overall, CreateSpace is a better choice financially. The creator can also set prices in British pounds and euros. CreateSpace also offers discounts by the creator, but it isn’t as intuitive (there isn’t a real-time graph to show how it affects the royalty) and only applies to the CreateSpace eStore. Since the royalty is higher (and minimum list price lower) through CreateSpace, let’s experiment and see what happens with a lower list price. Even at $14.95, the Amazon royalty isn’t bad. Lulu’s royalty on the discounted price of $14.96 is $4.50, a bit lower than CreateSpace’s ($6.12); however, sales through Amazon (the goal here) are a lot higher than Lulu’s 32¢. the lower the price, the more likely someone will buy it. And considering this isn’t the “complete” version of the book and the point of the book was to reach more people, a lower price makes sense. Therefore, the Variant Edition of DETOX has been adjusted to be $5 cheaper than its Lulu counterpart (however, with Lulu’s discount, the prices are fairly equal). Also of note, Amazon will at its own discretion discount titles (even print-on-demand titles from outside vendors like Lulu). This does not affect the creator’s royalty; the discount is taken from Amazon’s profit. So while DETOX (the Lulu-printed, preferred version) is currently listed on Amazon at $17.96, 10% off the list price, the royalty is still the same, yup… 32¢. Amazon also makes print-on-demand books available through Prime (free shipping) and eligible for AmazonSmile donations. 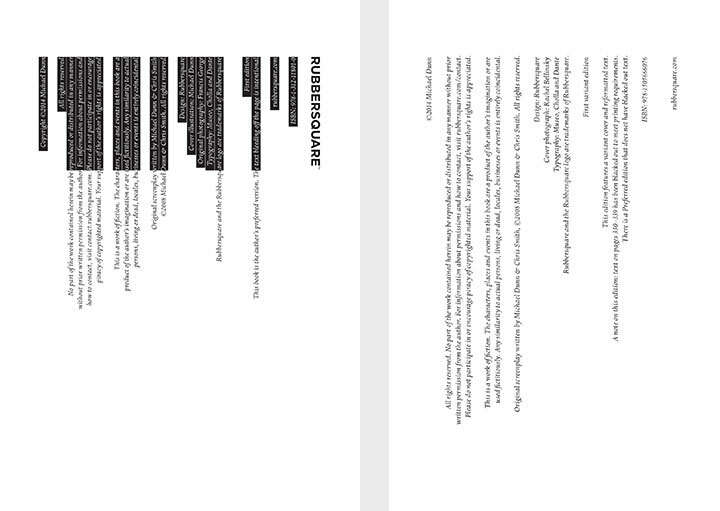 Hopefully that makes it a bit clearer why there are different versions of the books in Rubbershop. While an edition may be available on Amazon, it may not be listed in Rubbershop (such as DETOX Preferred Version) since the royalty isn’t very high, and a version listed for sale only through Amazon is a variant created through CreateSpace, but may available from other outlets (such as Barnes & Noble), but these other outlets aren’t listed since, again, the royalty isn’t as high. In some cases, both Amazon and Lulu are listed for an item in Rubbershop (the hardcover editions of //BEAUTIFUL and SUFFER) since the royalties are decent in either case. If it was all just about art, the books would be discounted to the point of the royalty not existing, and CreateSpace wouldn’t even be necessary since Lulu offers wider options and creative freedom. But c’mon. 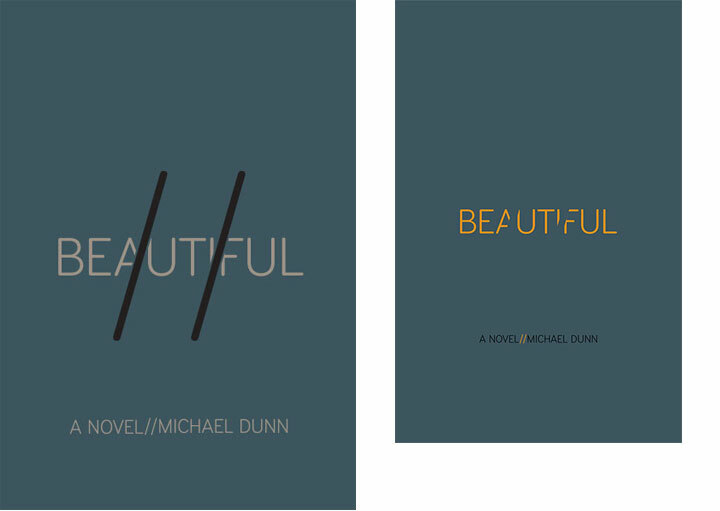 There’s gotta be something in it for this Michael Dunn guy who spent months writing these books, right? 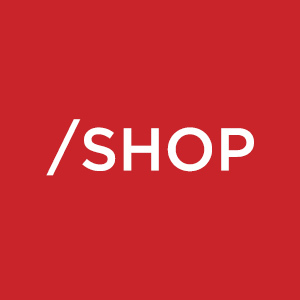 Visit Rubbershop to see books, films and merchandise available for purchase from various vendors.